recruit and engage the subconscious to make changes that you want to make in your life. Hypnosis is fascinating, and many people have questions about it. Read on to get the facts about hypnosis! Myth: I’ve never been hypnotized. Fact: The hypnotic state is a trance, which we typically go into and out of on a daily basis. For example, when you are mesmerized by a story, you are in a hypnotic state. Have you ever driven from one place to another, and then don’t recall the drive? That is a hypnotic state. Myth: A hypnotherapist will make me do strange things like quack like a duck. Fact: Only if you want to! There is a difference between stage hypnosis and hypnotherapy. Stage hypnosis is done for entertainment and often involves suggestions to act in unusual or humorous ways for the benefit of an audience. 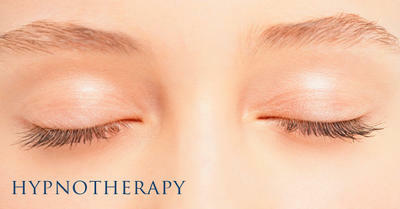 Clinical hypnotherapy is done to help an individual address a specific issue. These are done in very different ways, in very different settings, and for very different reasons. Myth: A person is not in control while they are hypnotized. Fact: A person maintains total control of themselves while hypnotized. No one can control you – your body or your mind – unless you allow them to do so. Your subconscious will automatically reject anything you disagree with or don’t understand. Myth: I might confess things I don’t want to if I’m hypnotized. Fact: The hypnotherapist may make suggestions, but you will not lose control of your thoughts or be forced to confess or say certain things. Myth: I won’t remember being hypnotized and won’t remember what happened. Fact: Hypnosis is actually a state of hyper-awareness, not a state of unconsciousness. Not only are most people aware of their surroundings, they often report a heightened sense of concentration, focus, and hearing during the session. Myth: Hypnosis is “Supernatural” or some type of “Black Magic”. Fact: Hypnosis has been studied extensively in the scientific arena. The use of hypnotherapy is based on years of extensive clinical research by world renown psychologists such as Dr. Sigmund Freud and Dr. Milton Erikson. Our subconscious minds are remarkable, but they are not magic! Jennifer Locklear is a Certified Consulting Hypnotist with the National Guild of Hypnotists, Inc. Contact us today at 336-945-0137 to schedule an appointment.